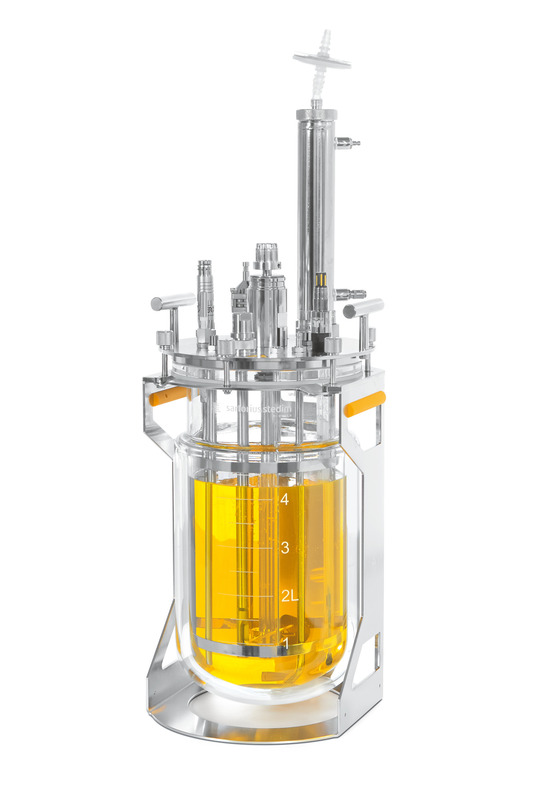 Benefit from the new design and the backward compatibility - all existing probes, dip tubes, spargers and impellers fit also into the new UniVessel® Glass. Get in contact with your local Sartorius representative and learn more about the new features - e.g. dishwasher proof stirrer shaft, ring sparger with bores facing downwards or the glass vessel fixation for cleaning. Reliability: Decades of experience making the UniVessel® Glass the most reliable autoclavable cultivation vessel on the market. Continuity: Compatible with all BIOSTAT® benchtop bioreactors dating back to 2004. Dimensions and characteristics are untouched compared to the predecessor UniVessel® Glass, avoiding redundancy in historical data. Ease of use: Speed up cleaning with the dishwasher proof stirrer shaft and benefit from the new handling concept. Configurability: More options for more flexibility in process development and characterization. The UniVessel® Glass creates a greater design space for you. The round shaped bottom of the stand provides a maximum of sturdiness to the UniVessel® Glass. The documentation of our UniVessel® Glass is designed for the requirements in a qualified environment. Request our comprehensive documentation package of manufacturer and material component certificates. The additional, integrated handles make the UniVessel® Glass more ergonomic and easier to carry - especially for 5 and 10 L vessels. Eliminating unnecessary weight, makes the UniVessel® Glass lighter than ever without losing stability or risking sterility. The complete dish-washer proof stirrer enables cleaning of the head plate in a dishwasher without removing the stirrer shaft.